Ashley has been teaching drama and English since 1994. His involvement with and teaching in the International Baccalaureate began in 2001 at Mercedes College in Adelaide, South Australia where he is currently Director of Curriculum and Programmes R-12. Ashley is an experienced teacher in MYP Drama, Film, Language and Literature and DP Theatre. Ashley has fulfilled the role of MYP Arts Moderator since 2003, MYP Senior Arts Moderator from 2006 until 2010, and MYP Arts, MYP Coordinator and MYP Implementation Workshop Leader since 2004. In 2007 he was also a contributor to a Teacher Support Material meeting in Cardiff that developed resource material for The Arts guide on the Online Curriculum Centre website. In 2008, Ashley contributed to the Arts Workshop Leader site on the OCC. Ashley has been a member of both the 2008 and 2014 Arts Guide writing teams. In 2013, Ashley was elected onto the IB Schools Australasia (formerly AAIBS) Standing Committee and is the current elected Chair. Brett Darcy is the former principal at Rose Park Primary, in Adelaide, SA, offering the PYP to Foundation to year 7 students. An inner city school held in high regard, with just under 600 students. He has been an IB principal since 2001, in his previous school offering the MYP to 6/7 and PYP to year 5. He currently serves as treasurer on the standing committee, and has done so since 2010. Brett is also a site visit team member for IBEN, and is in the application pool for consultancy and workshop leader training. 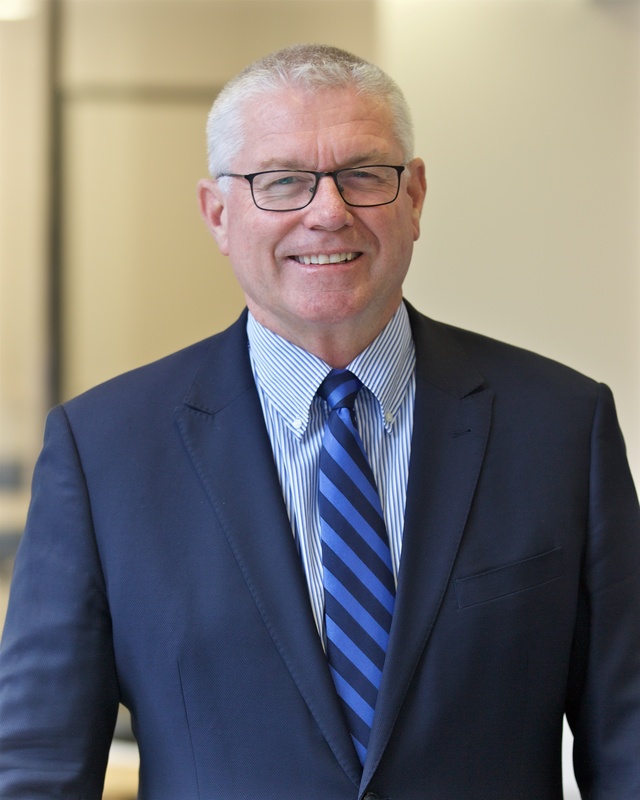 He brings to the IB Schools Australasia standing committee over 28 years of experience as a State school principal in a career now covering 41 years. He will be retiring shortly from the principal role to devote more time to this committee and his work with IBEN, as well of course more time for travel and to see the grandchildren commence school. His main focus as a committee member has been the increase of school memberships and the development of new services to support these schools. David’s background is in Marine Biology and Oceanography and he has been involved with the IB since 2004, when he taught biology and science at Malvern College in the UK. Early in 2007 he moved to Dunedin in New Zealand, again teaching IB Biology and became the IB DP coordinator in 2009. Along with teaching biology, David is also an examiner and IA moderator and was asked to help in the evaluation of the new IA criteria for the Group 4 subjects in 2014, specifically in Chemistry. In 2012, David was elected to the standing committee of AAIBS, taking up the position of secretary in 2014. January 2016 saw David gain the position of Principal Senior School at Kristin School in Auckland, a 3 programme K-13 school of 1600 students, where approximately 100 students annually choose to follow the Diploma Programme in their senior years. This is a position that will allow him to continue to have a strong relationship with the IBO, representing his school, New Zealand and also the wider Australasian region. Susan Just began her teaching career in government schools in Queensland and has been an educator for more than 20 years. Since then Susan has had extensive teaching and leadership experience in the independent school sector in Australia. She has been the Principal of three independent girls’ schools in Queensland and Canberra, and is currently at the helm at Lauriston Girls’ School in Melbourne. Susan holds a BA (UQ), Dip ED (UQ), M.Ed Admin (UNE), Advanced Management Course (Harvard). Susan’s strong areas of interest have been in curriculum and teacher development, and this has led to her participation on a number of peak educational bodies, committees and taskforces. She has been actively involved in the Australian Heads of Independent Schools’ Association, the Association of Independent Schools both in the ACT and New South Wales, the Alliance of Girls’ Schools of Australasia and the Association of Australasian International Baccalaureate Schools. Susan’s strong interest in the enhancement of STEAM in the education of young people has resulted in Lauriston Girls’ School establishing the first Fablab@school in Australia and a working relationship with Stanford University’s Graduate School of Education in California. Students from Prep to Year 12 have access to the digital fabrication laboratory (FabLab). The School’s Fablab Co-ordinator works with teachers in the primary and secondary years to develop cross-disciplinary activities that tie in with various aspects of the curriculum. Students undertake hands-on work in the FabLab to create new products, solve problems and combine technology with traditional hand tools. Lauriston Girls’ School ran its inaugural Fablearn Australia Conference for educators in 2015 and a follow-up in 2016 to share best practice in digital fabrication and making. Karen is currently the IB Co-ordinator and Deputy Principal at Cleveland District State High School, an Independent Public School situated on Brisbane’s bayside and a member of the Council of International Schools (CIS). During her 26 years with Education Queensland, Karen has taught in early childhood, primary and secondary schools in rural and regional settings as well as metropolitan Brisbane. She has also held the position of Head of Department, Senior Schooling. Karen is a passionate advocate for the IB and values the global and critical thinking it promotes in students. As a member of CIS and an IB World School, Cleveland High provides a wealth of opportunities for students and staff and in her role in the executive leadership of the school, Karen is at the forefront of strategic and operational planning. She regularly participates in professional development with CIS and for the IBDP. As an active member of the Queensland IB Co-ordinator’s Network, Karen has forged strong links with other schools and universities as she strives to promote the value of an IB education for all students. Queensland is a growth area for the IB Diploma Programme with a rapidly growing number of schools seeking authorisation and Karen views membership of the IB Schools Australasia Standing Committee as a way to continue her advocacy and broaden her knowledge and experience as an IB educator and leader. Fiona Godfrey is the first woman to be appointed Principal of Radford College in Canberra. Prior to joining Radford in 2014, Fiona was Principal of St Peter’s Girls’ School in Adelaide for six years. Fiona holds a Bachelor of Science, a Diploma of Education, a Masters in Educational Management and is a Graduate of the Australian Institute of Company Directors. 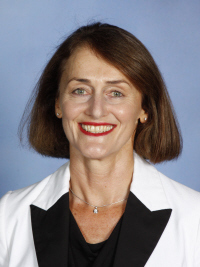 She has previously held the position of President of Anglican Schools Australia (ASA), was a Director of the Association of Independent Schools of South Australia (AISSA) and is now an Executive Member of the Australian Council for Educational Leaders (ACEL) and a Board Member of the Association of Independent Schools of the ACT (AISACT). Fiona is used to ‘leading the way’. In 1989, she was the first female to be appointed Head of Science at St Kevin’s College, a large and highly regarded Catholic boys’ school in Melbourne. Other significant positions include Head of House at Westbourne Grammar School, a co-educational school in Melbourne, from 1998- 2002, and Deputy Principal first at Fintona Girls’ School and then at Canberra Girls’ Grammar School between 2003 and 2007. In 2011, she was the recipient of the South Australian Business Woman of the Year, Community and Government Award. Fiona believes it is a sense of belonging that defines a school. A School is a learning community. Regardless of interest or ability, every student should feel that they belong and are supported on their own journey to knowledge and fulfilment. If you set this standard, young people will embrace their opportunities and pursue excellence in everything they do. Natalie Jensen is Head of Campus at Preshil in Melbourne. She has a Masters Degree in Child and Adolescent Welfare and extensive experience working with and improving the welfare of young people. She has taught in PYP, MYP and DP schools in Australia and Copenhagen and has volunteered in Nepal and Africa where she supported local communities of educators. Natalie began her journey at Preshil during the feasibility stage of the Middle Years Programme as the MYP Coordinator and has guided staff through candidacy and authorisation. She has delivered workshops for the IB and is a Workshop leader, School Visitor Team Member as well as a Reader for candidate schools seeking authorisation. Paul began his teaching career at Fairholme College, Toowoomba, as a Mathematics and Physics teacher, and has been working in independent schools in QLD and NSW ever since with 35 years teaching experience and 19 years as a principal at Moreton Bay College, Brisbane, and now the Hunter Valley Grammar School, where he has been principal since 2007. Paul holds a Bachelor of Applied Science (USQ), Diploma in Education (UQ), Bachelor of Educational Studies (UQ), Master of Education (Deakin) & Doctor of Education student (USQ). He will submit his Thesis for examination this year. Paul’s particular expertise and interest is in leadership development. This has led to his participation on a number of board’s and peak educational bodies. 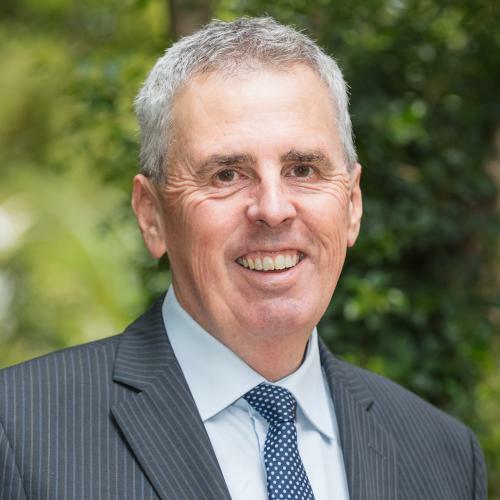 Paul is Chair of the NSW Combined Independent Schools Sports Council (CIS), Director on the Board of AHISA Ltd, Chair of the AIS NSW Chief Executive’s Advisory Council, Treasurer of the Heads of Independent Co-educational Schools, and Treasurer of the Hunter Region Independent Schools. In 2019 Paul will fill the casual vacancy left by the resignation of Kath Kayrooz on the Standing Committee of IB Schools Australasia. Hunter Valley Grammar School (HVGS) is a co-educational, P-12 school of 1,100 students. HVGS is an authorised PYP school, candidate MYP school and will move to be a Diploma school in 2022 ready for the first graduates of the MYP. Antony Mayrhofer, B.Sc, Dip. Ed, M. Ed (leadership) is the Director of Learning Services and Diploma Programme Co-ordinator at St Paul’s Grammar School, Penrith, Sydney, Australia. He has had an interest in International Education since 1984 when he completed a trainee teacher practicum in a local non-government school in Mumbai, India. Antony has taught the Diploma Programme since 1990 in Biology, Chemistry and Theory of Knowledge. He completed a five-year term as Deputy Chief Examiner of Biology in the Diploma Programme for the IB in 2007 and as such was, and continues to be involved in curriculum design and assessment for the IB. He has been an examiner in Diploma Biology since 1995 and a moderator of Biology Internal Assessment since 1997. Antony has been a Diploma Programme Coordinator at St Paul’s Grammar School since 2000 and has led the significant growth of the programme which is studied by more than half of senior students. Antony is also Chair of the ACT and NSW Diploma Programme Coordinator Network. Antony has led teacher-training workshops for the IB in pedagogical practice, Diploma programme coordination and Biology since 2000 at all levels of teacher experience. He has led Diploma Programme evaluation and verification teams since 2003 on behalf of the IB throughout the Asia Pacific region. Antony has presented breakout sessions at three IB Global Conferences. Antony is a member of the standing committee of IB Schools Australasia. He has previously held the position of chair of this Association. In his spare time he enjoys bushwalking with his wife and two adult children near his home in the Blue Mountains, west of Sydney. Judy was educated in Australia at the University of Melbourne where she completed a BSc (Hons) in Zoology and Genetics. After working at a Heart Foundation research institute for 5 years, she moved to the UK to complete a PhD at University College London, then worked in drug development in a private company. She began her teaching career in Victoria, Australia in a government school but moved to The Kilmore International School (TKIS) in 2008, where the IB Diploma is the only senior qualification offered. At TKIS, she has taught DP Biology HL & SL, Theory of Knowledge and supervised Extended Essays and CAS programmes, as well as taught middle and junior school science. She is an examiner of the May Biology SL Paper 3. Judy has held the positions of Head of Year 11 and Year 12, Head of Curriculum and IB DP coordinator (current role). She is currently a workshop leader (for Biology, Coordination, Extended Essay, Approaches to Teaching and Learning) and school visit team member with the IBEN network. Anne Wallington commenced at Methodist Ladies’ College, Kew, Victoria, as Head of Senior School in 2006. MLC is one of Australia’s leading independent girls’ schools, internationally renowned for its extensive curriculum choices, cutting edge approach to education, varied learning experiences and outstanding academic results. It has an enrolment of over 2000 students from Prep – Year 12 and offers three senior pathways: VCE, VCE VET and IB. 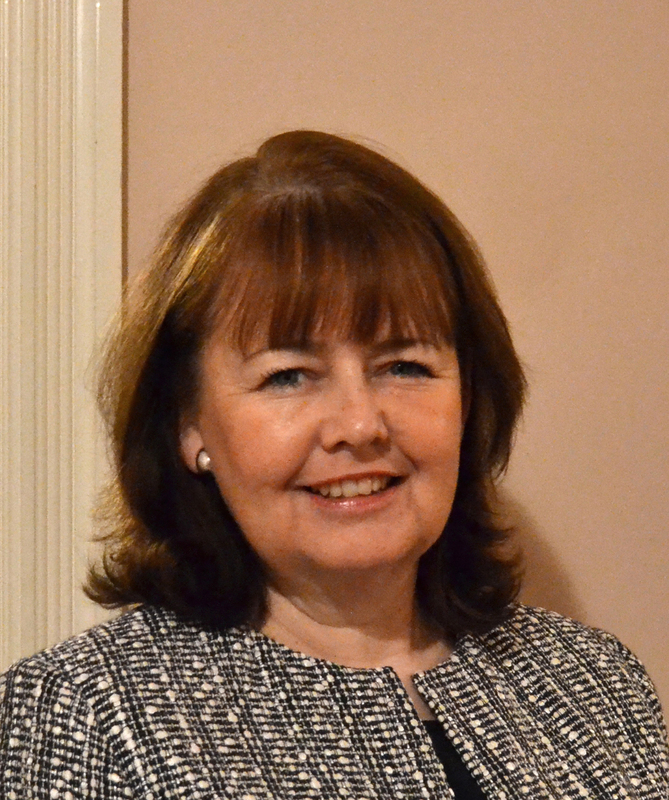 Prior to MLC, Anne was Head of Senior School at Lauriston Girls’ School. Anne holds a Bachelor of Commerce, a Graduate Diploma in Education Studies (Women’s Studies), a Graduate Diploma in Education (Economics and Studies of Society and Environment) and a Master’s Degree in School Leadership. Anne began her professional career working in sales and marketing with a large, multinational technology company. Her interest in girls’ education started through her short-term secondment to two university careers departments and developed in her post graduate studies. Her teaching methods are Economics (IB and VCE) and Australian History and for several years Anne was also an IB Economics Examiner. Anne particularly enjoys working with senior students and supporting them in their development and preparation for taking their place in the adult world. An educator with more than 40 years’ experience, Kay was an early years teacher for many years before entering academia. She has recently been appointed Honorary Fellow in the Melbourne Graduate School of Education after 14 years at the University where she coordinated and taught in Bachelor and Master of Early Childhood and Primary teacher education courses in a range of subjects including child development, curriculum and pedagogy, and professional practice. During this time she held the positions, among others, of Associate Professor in Early Childhood Studies, Assistant Dean (International), and Director of International Baccalaureate programs. She was instrumental in establishing the first University programme in the world to provide teachers with postgraduate qualifications in IB education; initially the PYP and later the DP. Kay has taught and consulted in education in Australia, Singapore, UAE, China and Vietnam and has researched with colleagues in many other countries. She continues to research and supervise higher degree research students. Kathy Saville has been involved in education for over 25 years. She has taught in kindergarten, primary and junior secondary classes, as well as undergraduate and post graduate students at university level. She is currently the College Teaching and Learning Leader at Wesley College Melbourne. Previously, she was Deputy Director of Curriculum and also the PYP coordinator at the Glen Waverley campus. She has worked with the PYP since its inception and is now also closely involved with the MYP and its implementation. She has a Diploma of Teaching, Bachelor of Education and Master of Educational Management. Kathy is involved in many aspects of the IB. She has been a workshop leader for PYP for 10 years, is a visiting team member and leader, field representative, a consultant, has developed online and face-to-face workshops, has been involved in the review of the standards and practices, was part of the team that developed the Sharing PYP blog and was the IBAP PYP school representative sitting on the curriculum committee in The Hague for 2014 - 2015. She is a current member of the executive committee of the Victorian PYP network; was chair in 2010 and 2011; and, currently edits the newsletter, The PYP Inclusive. She has also recently been involved in elements of the review of the PYP. Kathy has presented sessions at three IBAP regional conferences, two AAIBS conferences and co-presented a webinar for the IB early in 2016. She works closely with IBEN to support workshop leader and site visit team member training.